Our friends Tony and Anna Grace joined us this week for a nice dinner overlooking the Central Valley of San Jose’. 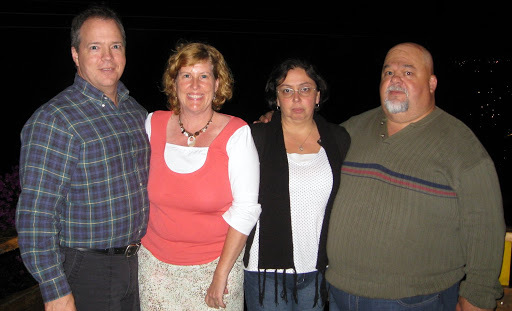 Both couples are celebrating our 25th wedding anniversaries this year. Theirs was a month ago, and ours is coming up Wednesday, June 17. We went to one of the few restaurants that has good beef, thus the full tummys!